Colored Pencil Adventure at Sedona Arts Center! Learn the secrets of creating high performance art with Prismacolor Art Pencils. Award winning artist and teacher Richard Drayton will guide students through step-by step techniques and demonstrations that will result in rich blended color and exciting composition and design. Participants can use their own subject matter or photographic reference and projects provided by the instructor. Artists of all levels will enjoy expanding the boundaries of creative expression with this remarkably versatile medium. This entry was posted in Classes & Workshops. Bookmark the permalink. 2018 WorkShops at Sedona Art Center! 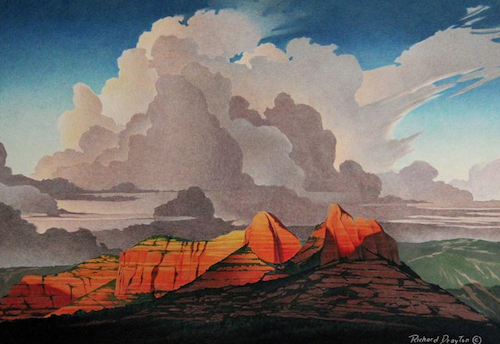 New 3 Day WorkShops at Sedona Art Center!